Again, I’m still busy this week, but in honor of Conan’s first show (and also in honor of Bill Carter’s great book) I thought I’d dredge up the video where Conan met his wife. This time in Conan answers your questions: What is Conan doing for a halloween costume this year? Stephen worries about where to hold his Keep Fear Alive march. In the meantime, he does fear outreach by encouraging kids to send him drawings of their greatest fears. 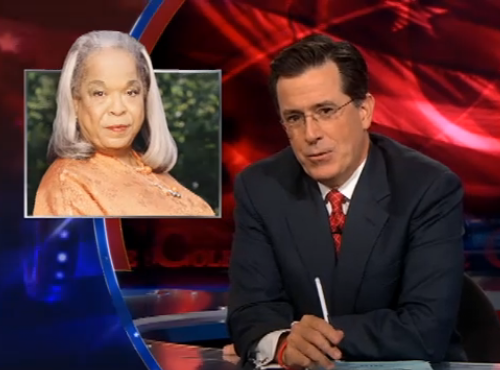 Stephen’s biggest fear is Conan O’Brien. It’s all sponsored by Reese’s Pieces, of course. 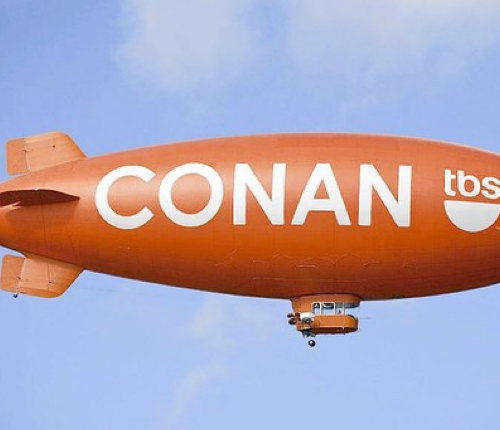 Taking a cue from that Old Spice Guy (and taking a break from Angry Birds) Conan will be taking fan questions and answering them on his Facebook Page. 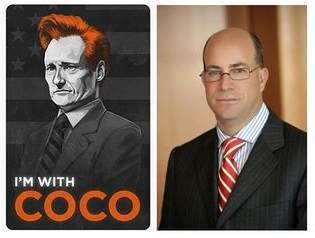 The questions are already rolling in, so check http://www.facebook.com/teamcoco for the answers. And the name is Conaw. Premiering on TBS Nov. 8. That’s right. Conaw. Watch the video and see if I’m lying. 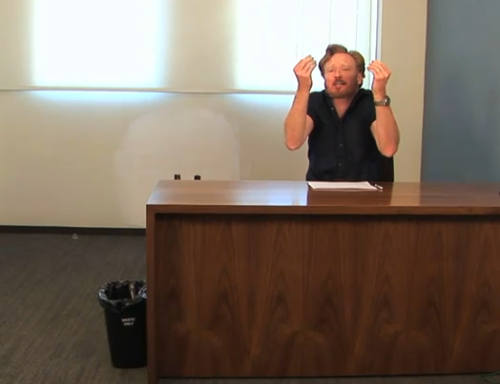 Will Conan win the comedy Emmy this Sunday? We say he will! If only to stick to it to “the” Man (Jay… Jeff Zucker… hell, Mark Zuckerberg, just for the hell of it!). Except… maybe he should play it cool. 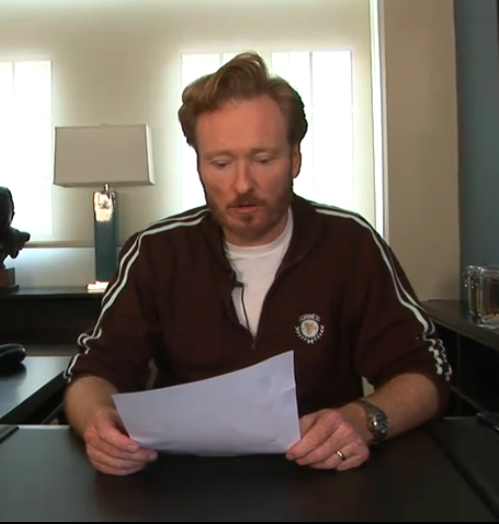 If O’Brien wins Sunday in the outstanding variety, music or comedy series category for his aborted “Tonight Show” — a distinct possibility, given the strong Hollywood and populist sentiment behind him in his public separation from NBC — the host is legally prohibited from saying whatever he wants about his former bosses during an acceptance speech. Yep. 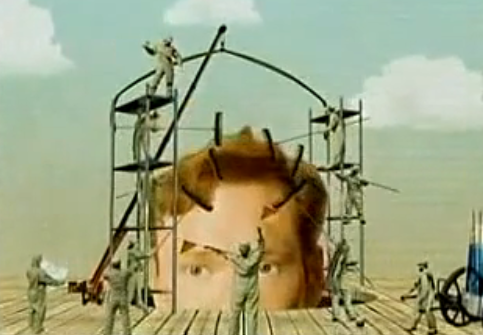 Very Terry Gilliam. Very Python-esque.